Ivo Evgeniev is an experienced investor and entrepreneur who has led successful investments in various sectors, including telecom, IT services, construction materials, real estate property, renewable energy and agriculture. 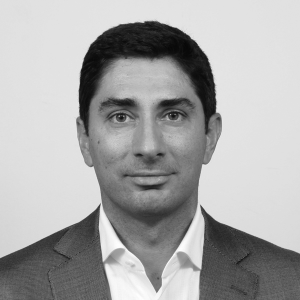 He has more than 15 years of experience in private equity and venture capital, as well as investment banking experience with Deutsche Bank and UBS. His recent investment focus is on system integration, telematics, IoT, SaaS and food processing. Ivo serves on the Board of the Bulgarian Charity Aid Foundation (FPPB) and the Alexandrea Foundation. Ivo holds an MBA degree from INSEAD and Master degrees from the Technical University (Sofia) and the University for National and World Economy (Sofia).